Which side is McMaster on? The patriots or the globalists? The Daily Beast reports President Trump’s National Security Advisor is on a warpath against Stephen Bannon over a secret Obama holdover ‘enemies list’ created by the former Breitbart News chairman. It’s no secret National Security Advisor H.R. McMaster and Chief Strategist Steve Bannon are battling over control of President Trump’s agenda. 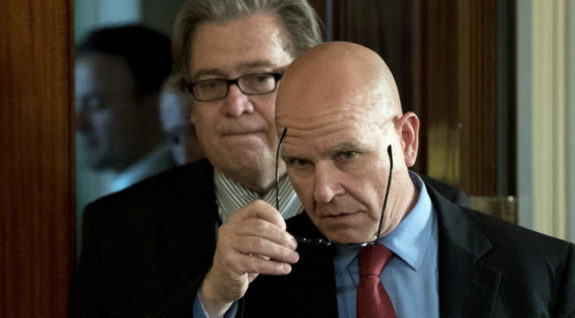 McMaster is furious with Bannon, accusing him of leaking damaging information about the globalists to Breitbart News. Things got so bad between the two that DefSec Mattis had to break them up.